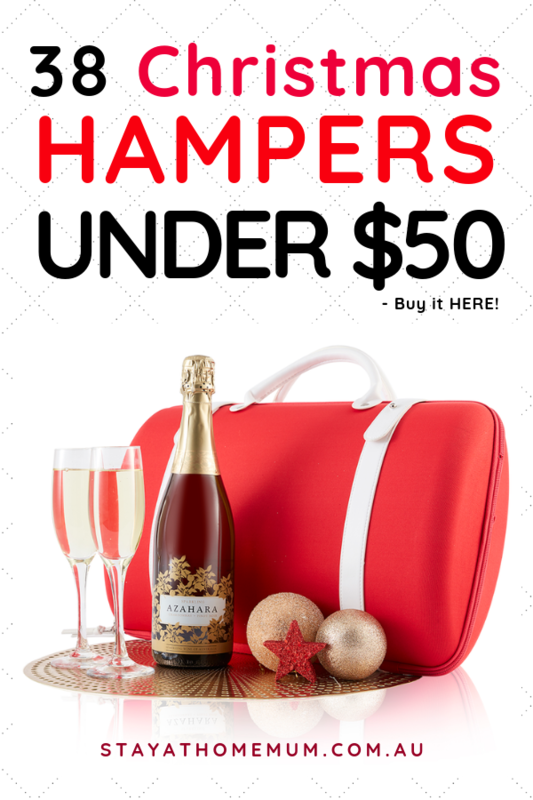 38 Christmas Hampers Under $50 - Buy it HERE! 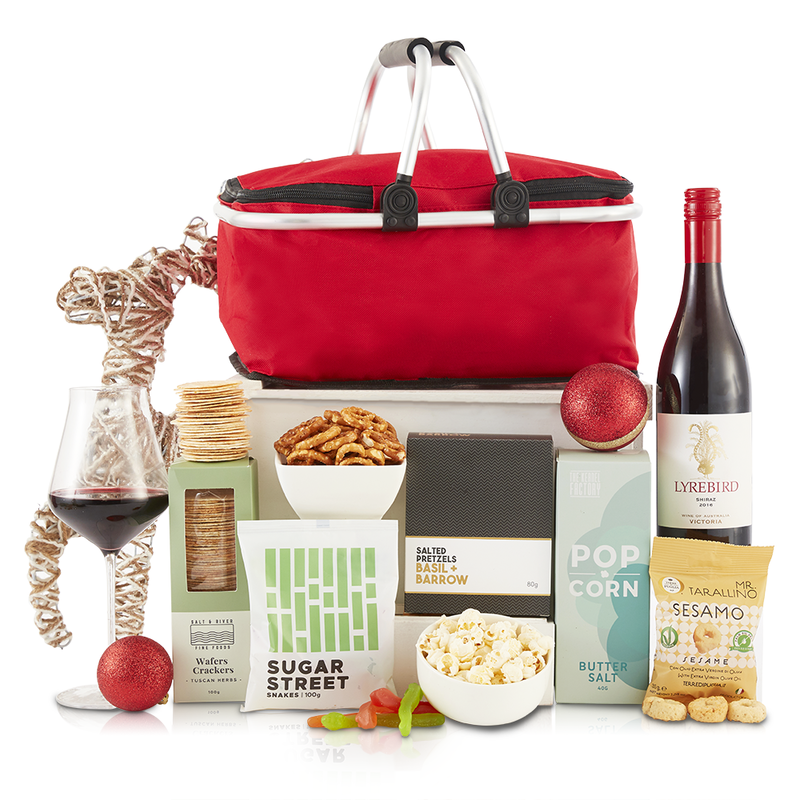 38 Christmas Hampers Under $50Christmas Hampers are the Perfect Gift! 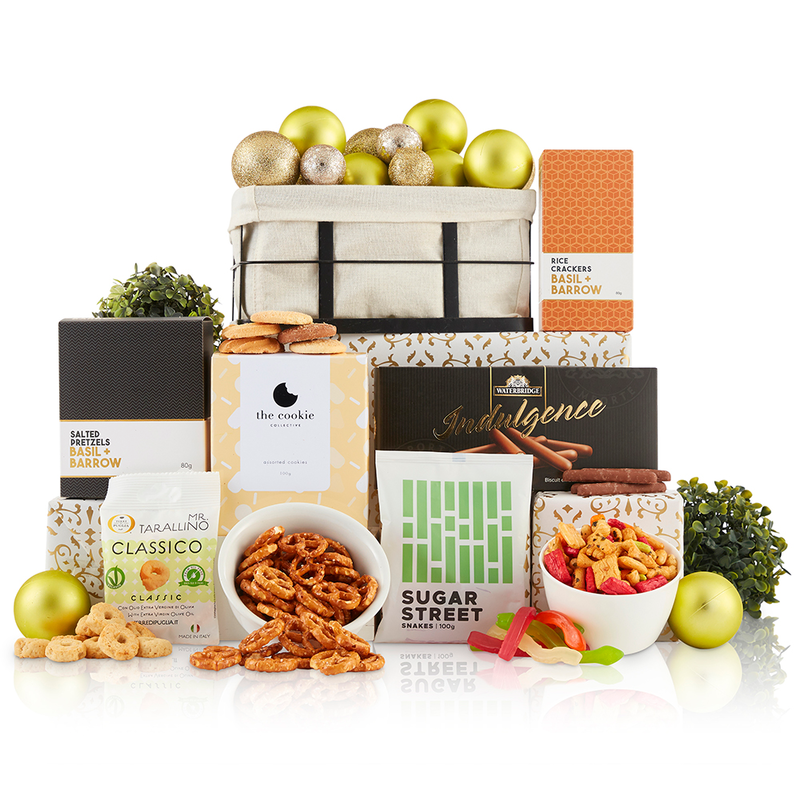 Here’s where to buy 38 Different Christmas Hampers under $50! 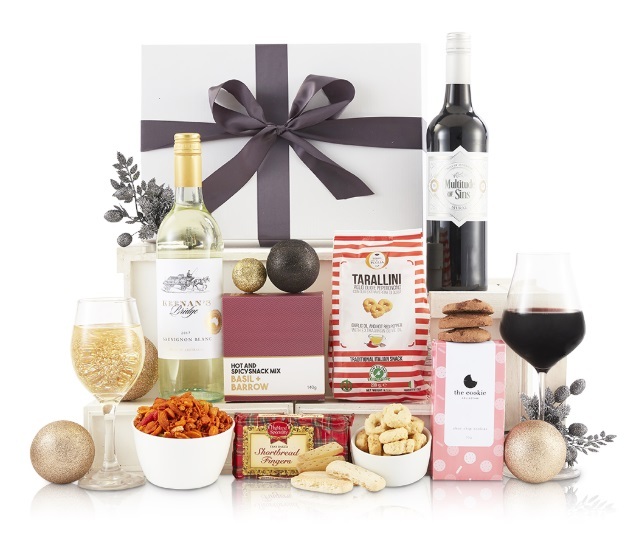 I do love a nice Christmas Hamper – they are a beautiful gift to both give and receive. And who doesn’t love to dive in and see all the pretty products that you just know are going to be so bad for you, but it is Christmas so who cares! 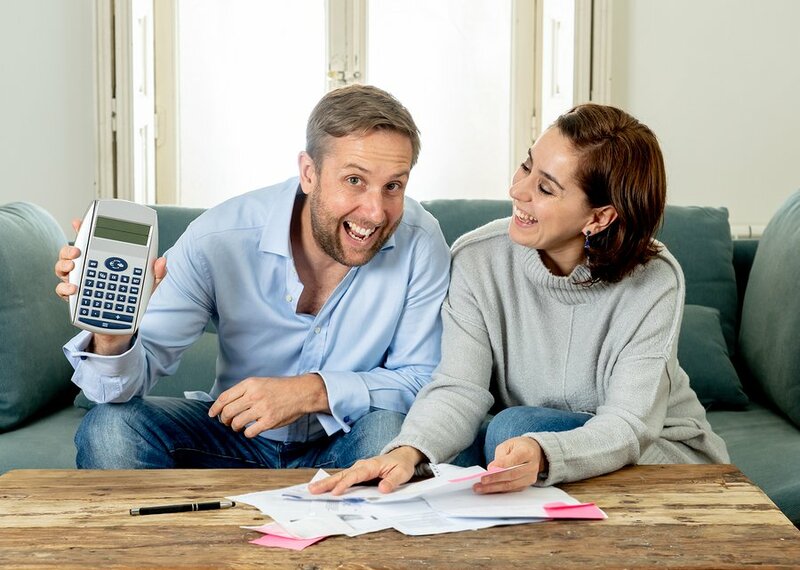 If you’re lost and have zero idea on what gift to give your boss, work colleague, family friend or MIL – well we have done the hard work for you! There’s a lot of choices down there. Just scroll on and take your pick! 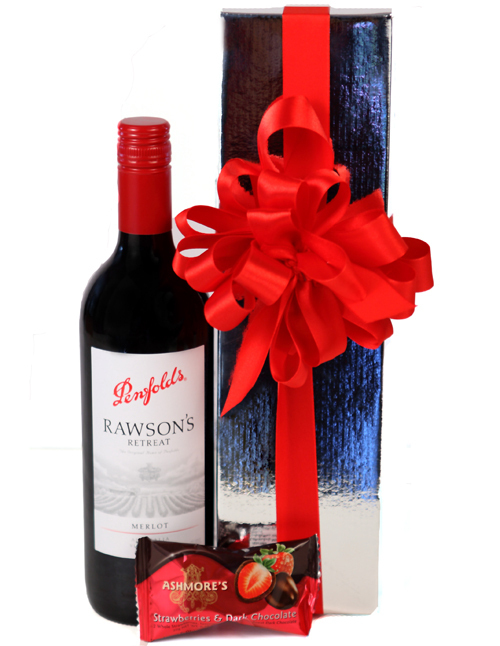 A great Australian red wine accompanied by a classic chocolate macadamia duo. Perfectly packaged this is the perfect gift this Christmas. 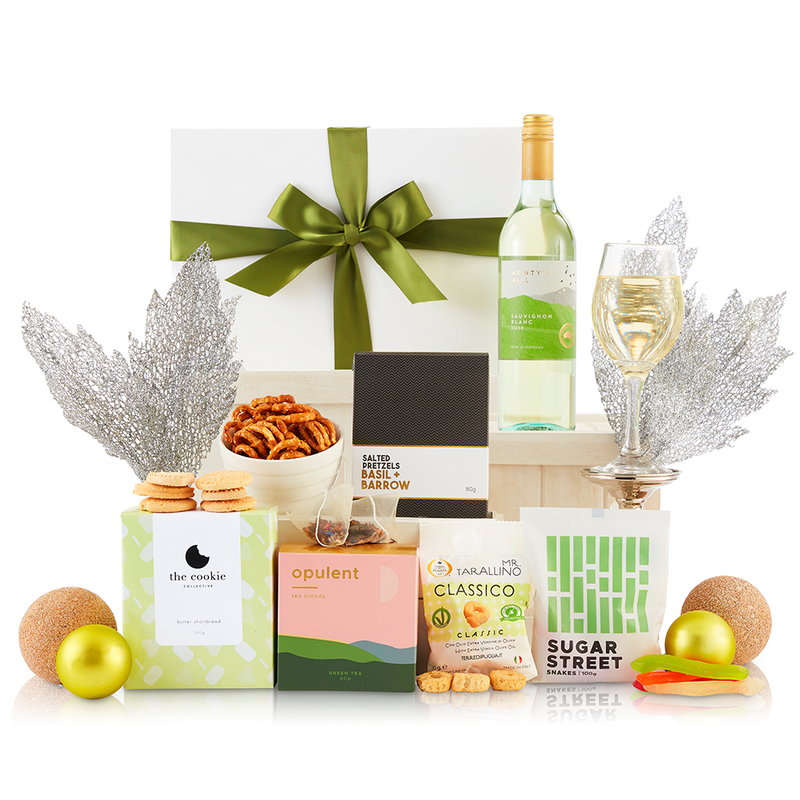 This hamper is a great way to say thank you to staff during the Christmas season, treats for everybody! 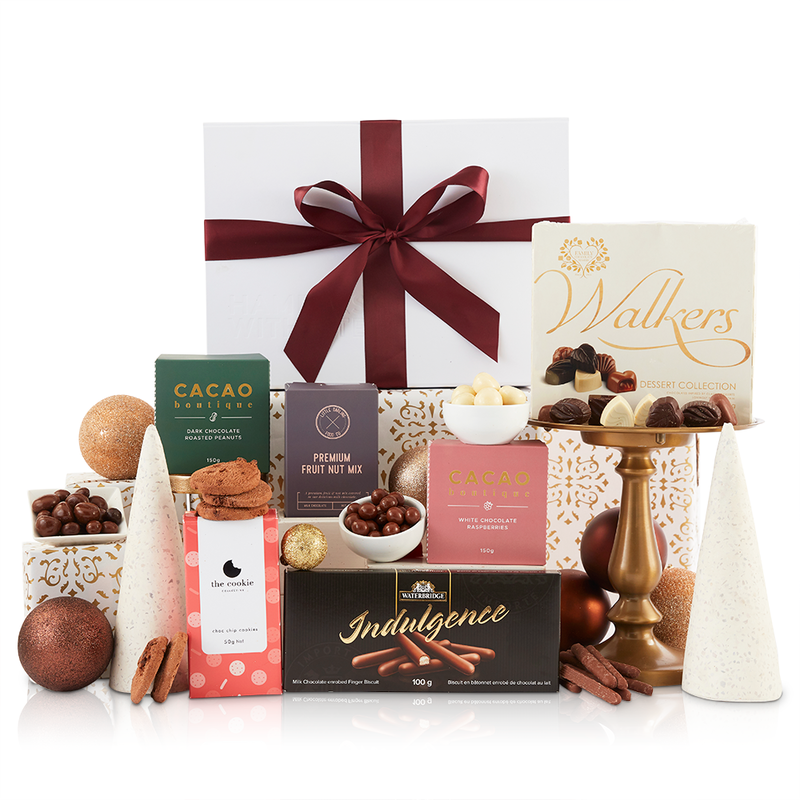 What better way to treat your staff and say thank you this Christmas season, this hamper makes for a perfect corporate gift, with a speciality Christmas tin they can take home and keep for many Christmases to come. 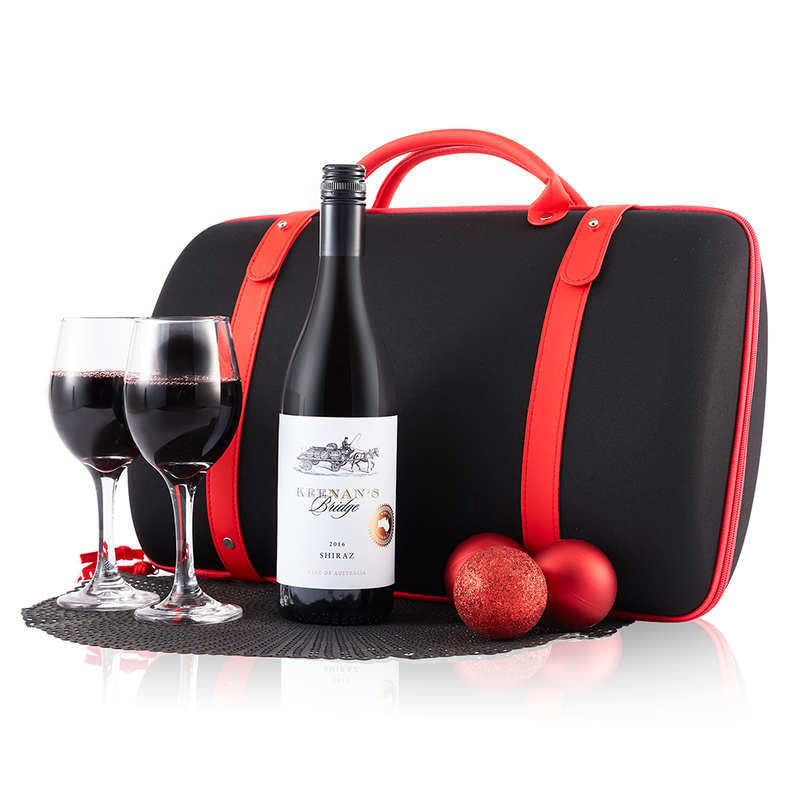 Looking for a nice simple Christmas gift for a red wine lover? 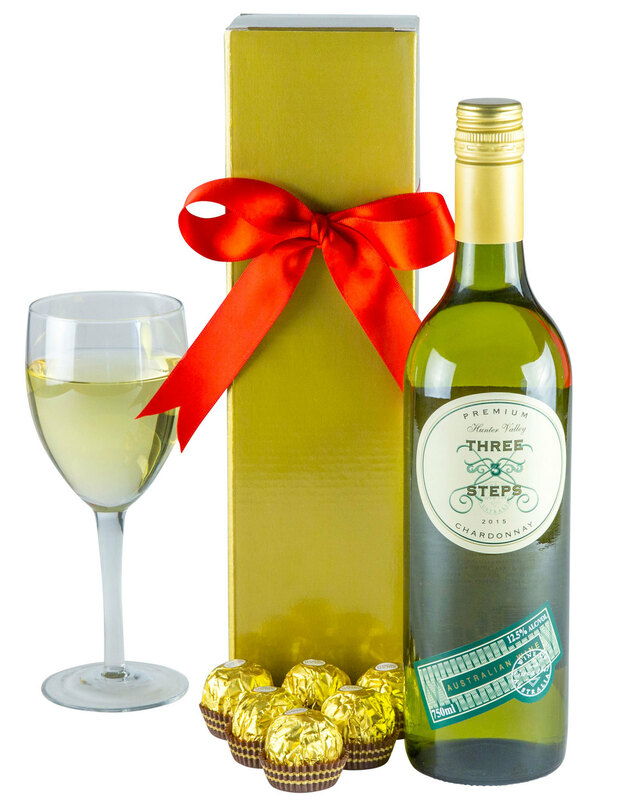 The perfect thank you gift for any client. Stuck on what to give this Christmas season? 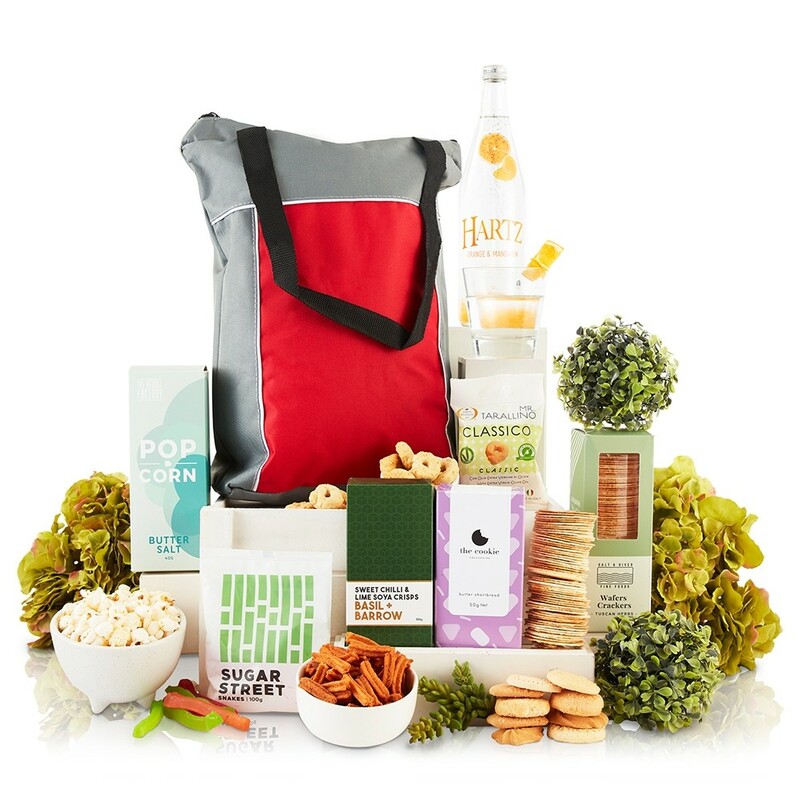 Look no further, you can’t go wrong with this hamper that includes an array of treats and snacks. 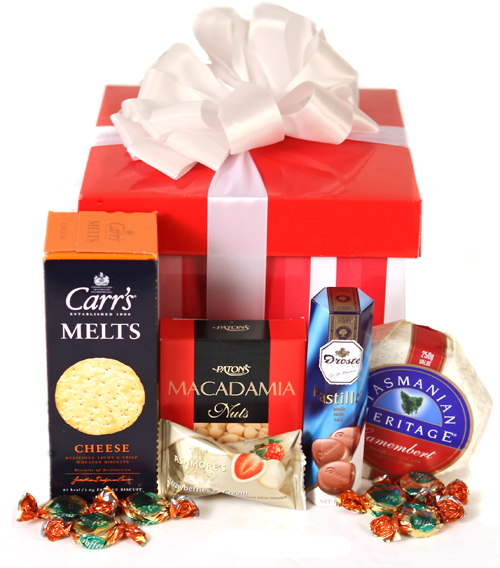 A real crowd pleasing sweet and salty gift hamper. 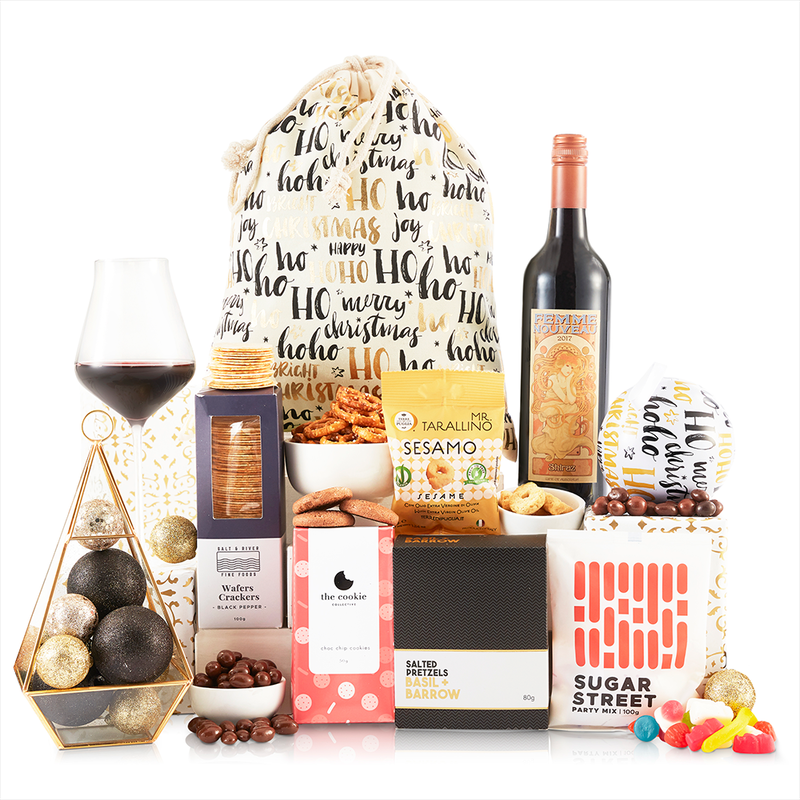 This hamper is a great way to say thank you to staff during the Christmas season, the perfect hamper to give sweet treats to everybody! Presented in a linen lined metal basket with rose gold handles and decorative tissue. Struggling to find her the perfect Christmas gift? 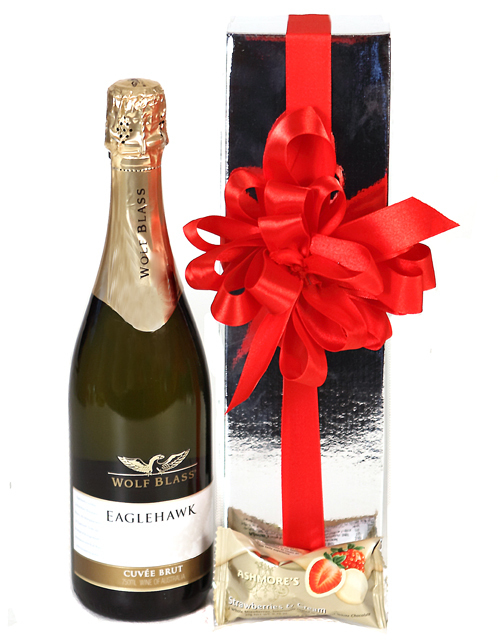 This is a great way to surprise them with a Luxury hamper and make their Christmas a relaxing one! A great gift to celebrate Christmas with! 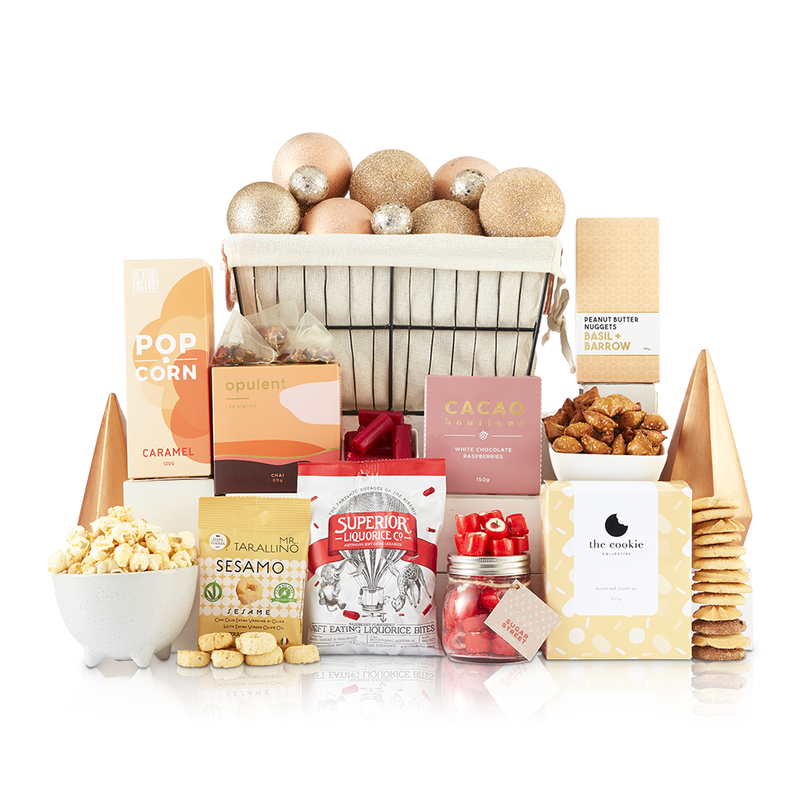 This hamper has a selection of gourmet treats that is sure to satisfy any sweet tooth this holiday season. 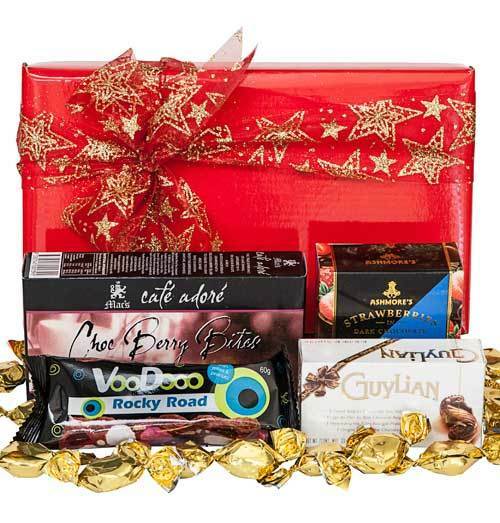 A great gift hamper for your clients, staff, family or friends! 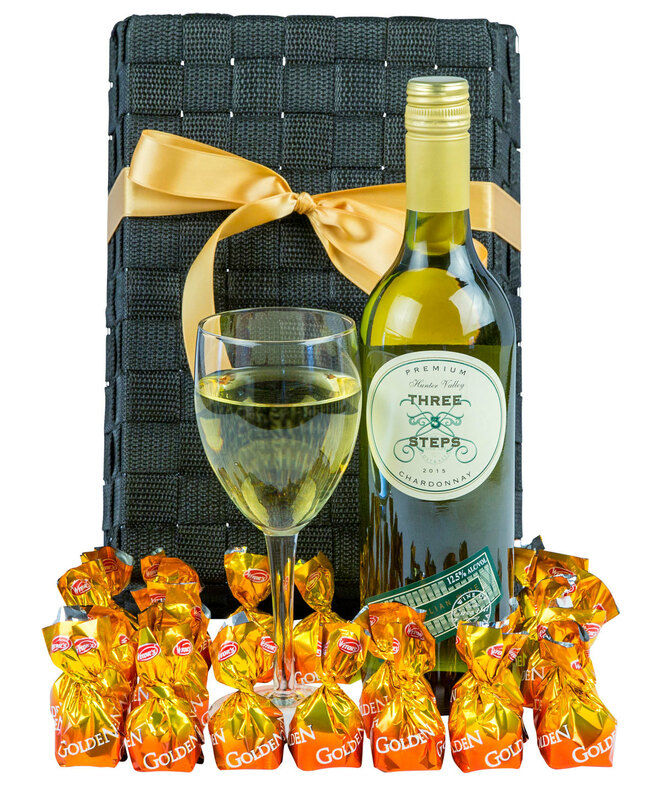 Containing a selection of creamy milk chocolates and some bubbly this hamper is a great way to show those around you that you appreciate them. 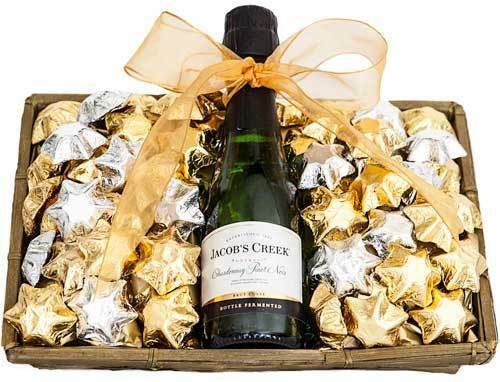 Treat your clients and loved ones to a Golden Christmas this year, the perfect gift hampers to show your appreciation. 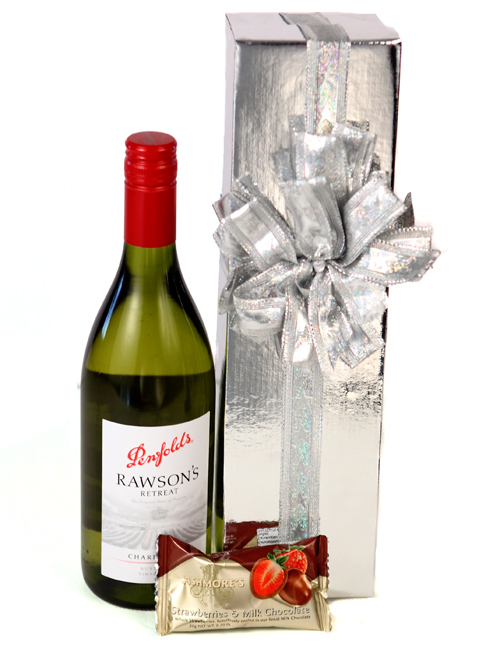 A fruity Hunter Valley Chardonnay perfectly packaged with quality gourmet chocolates. 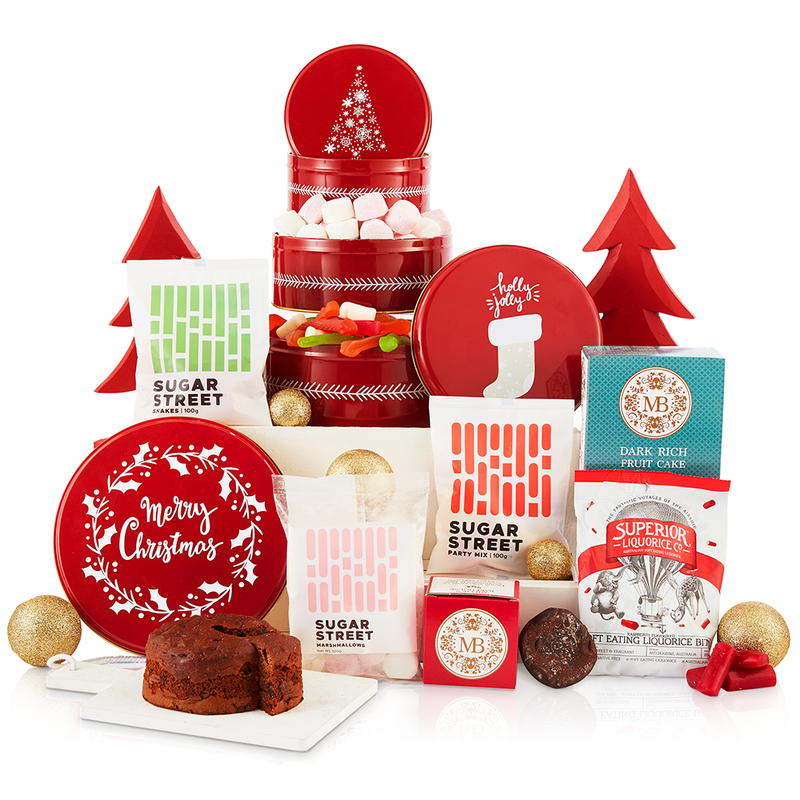 Adorable sweet treats to share at Christmas! 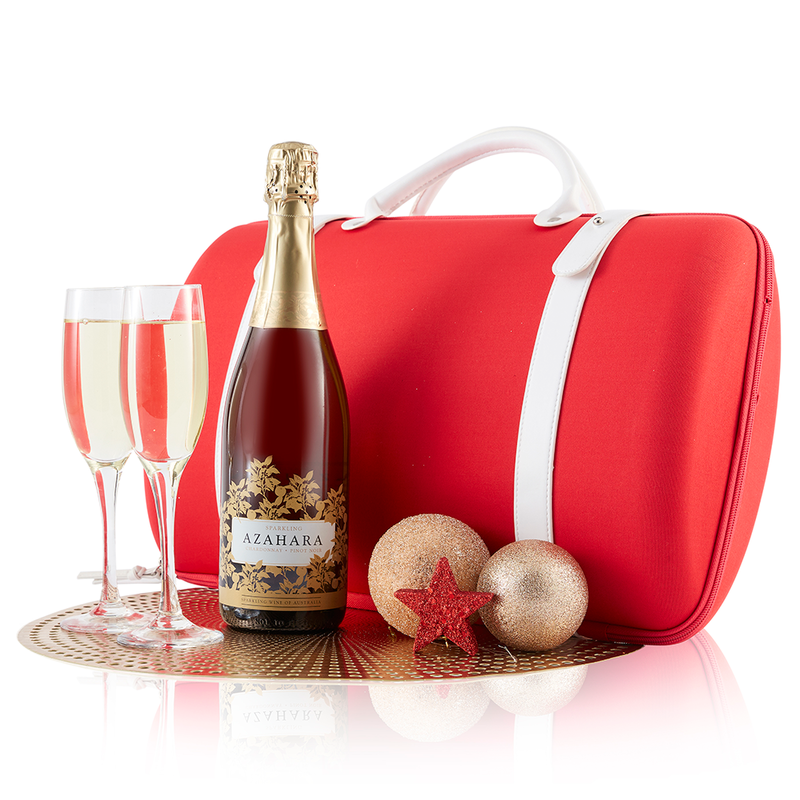 Cool down this Christmas with the perfect summertime gift hamper, this reusable insulated cooler tote bag is the gift that keeps on giving. 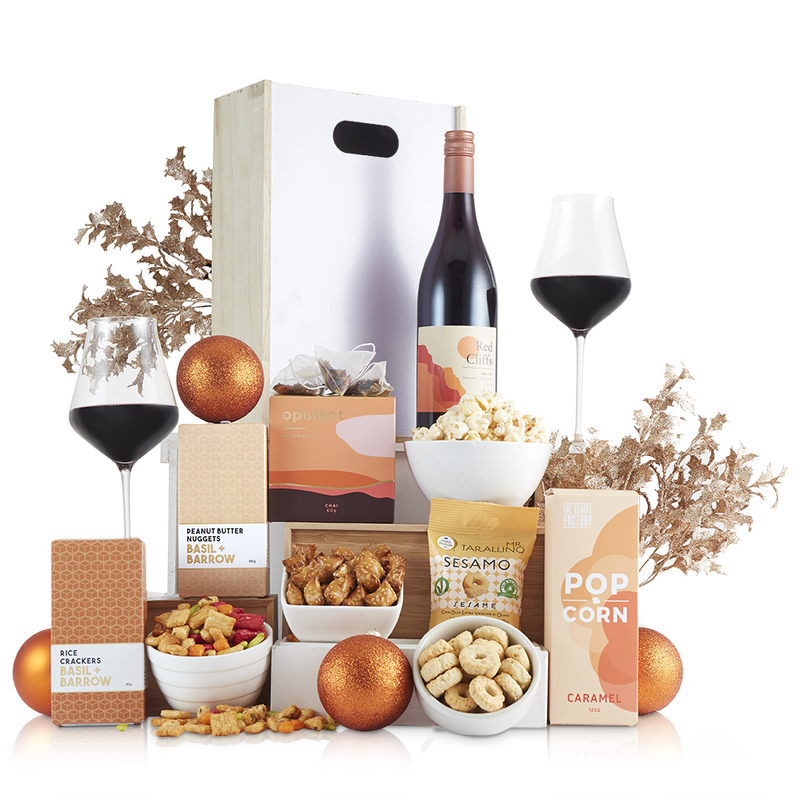 It’s time to relax this Christmas and enjoy a nice red, this gourmet gift hamper is a sophisticated way to say season’s greetings! 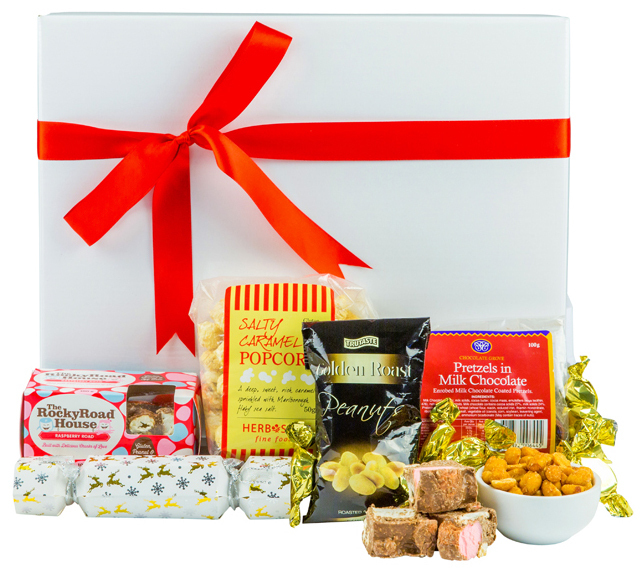 Celebrate a White Christmas this year, this gourmet gift hamper has all the treats needed to make the season special. 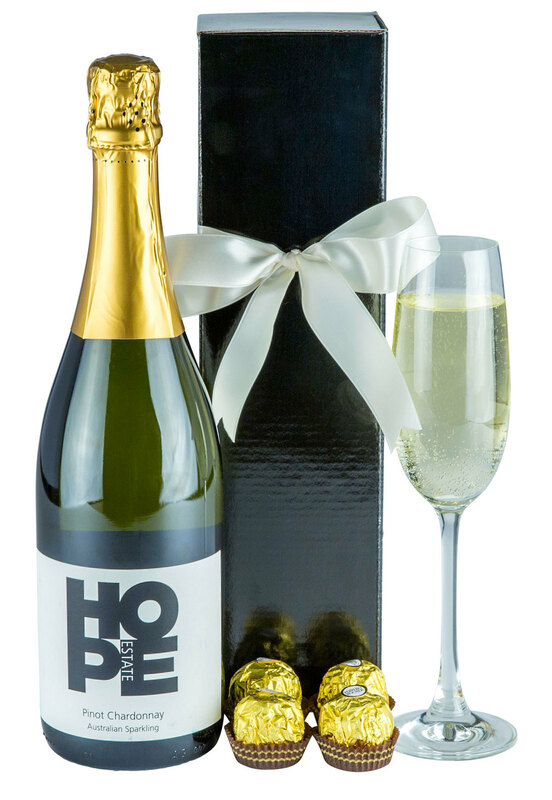 A perfect gift for corporate clients! 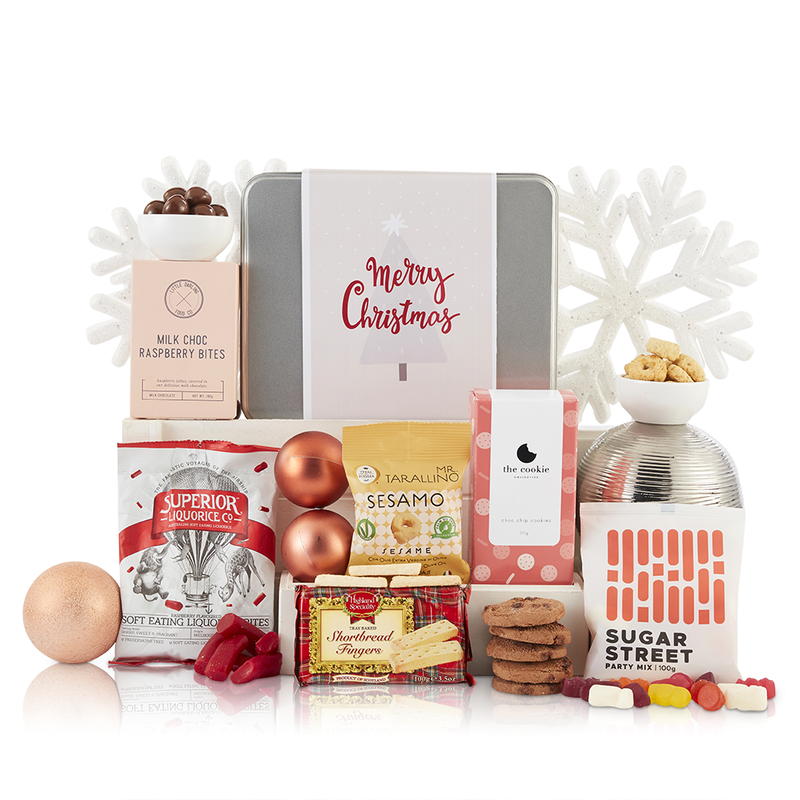 This gourmet gift hamper is full with sweet treats for all to enjoy this Christmas time, a great gift for someone that loves Christmas collectables. 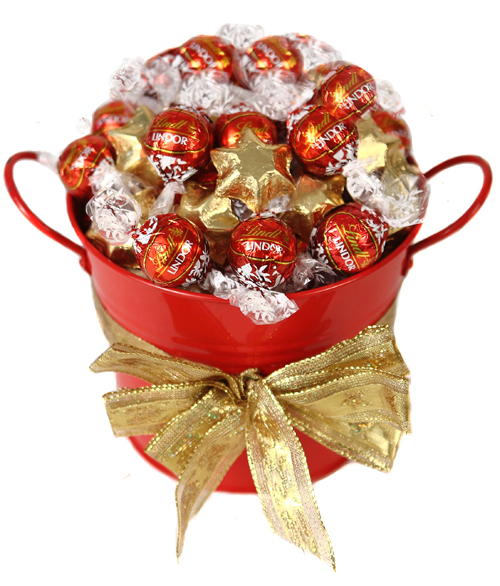 A pail of 30 delicious creamy milk chocolate Lindt and smooth milk chocolate stars is sure to impress this Christmas. Presented to impress it is the perfect gift to say thank you or show you care. 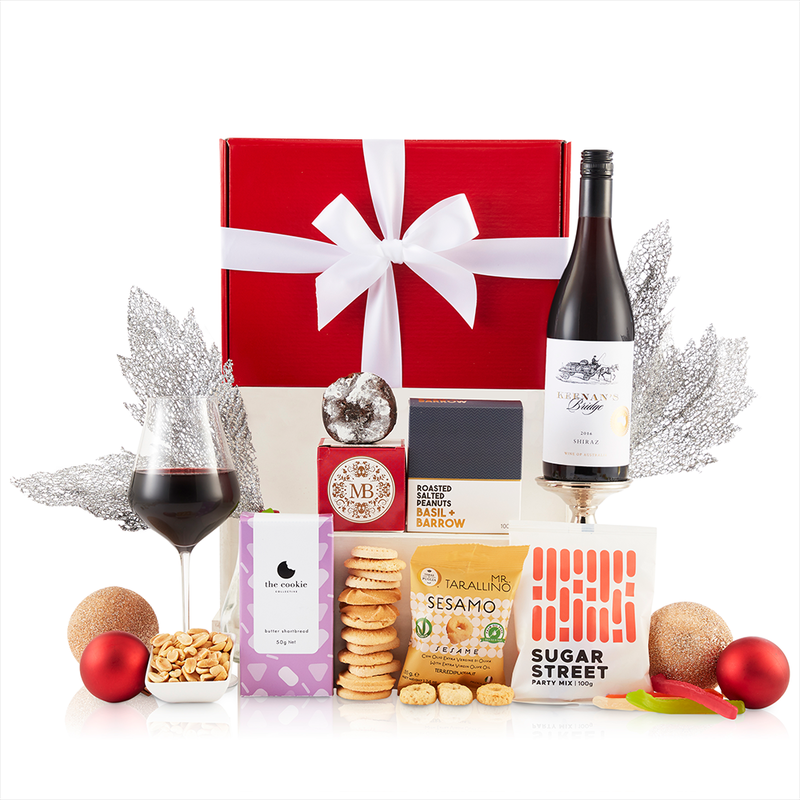 This festive Christmas gift hamper makes for the ideal present, send this to family or corporate clients- everyone will enjoy! 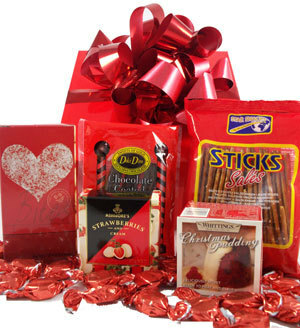 This gift hamper is a shopping sensation! 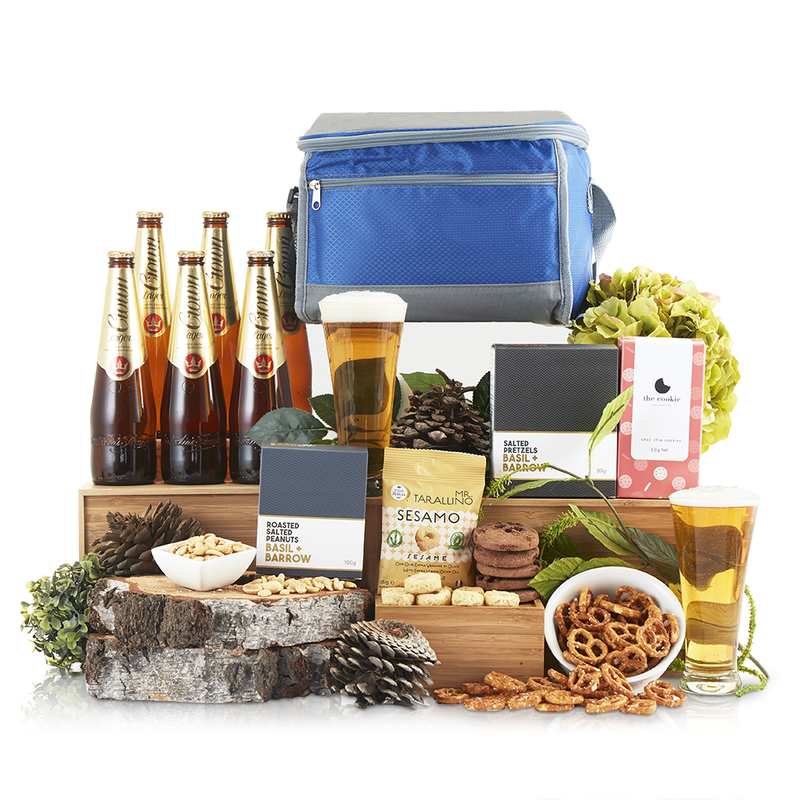 Take your Christmas gift on the road and celebrate with this delicious selection of gourmet products. 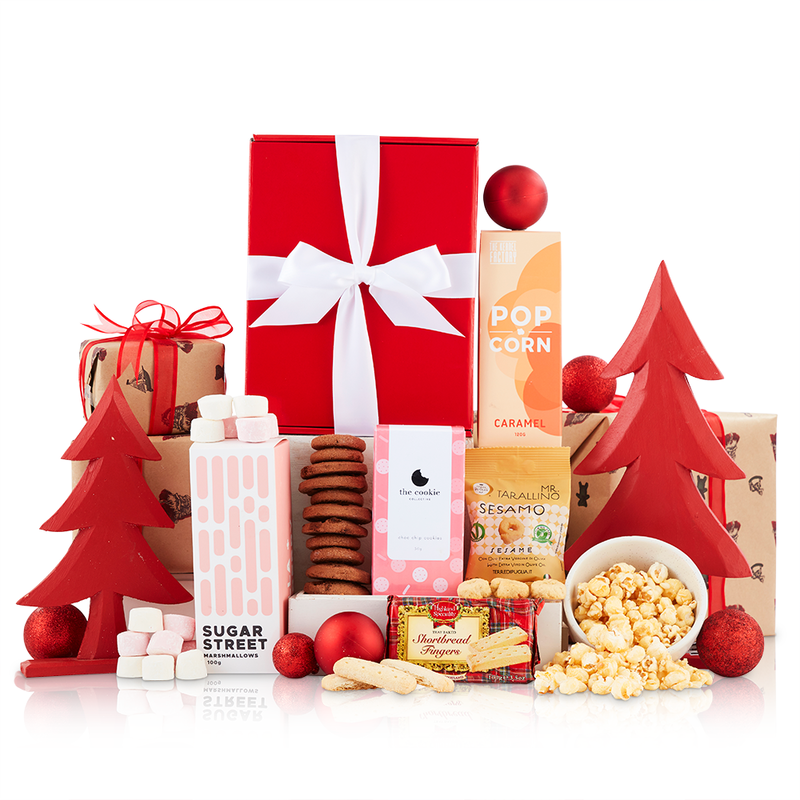 A colourful gift box full of delicious treats to savour and enjoy this Christmas season. A delicious toast to the silly season this Christmas, a perfect gift to cheers to the years successes. 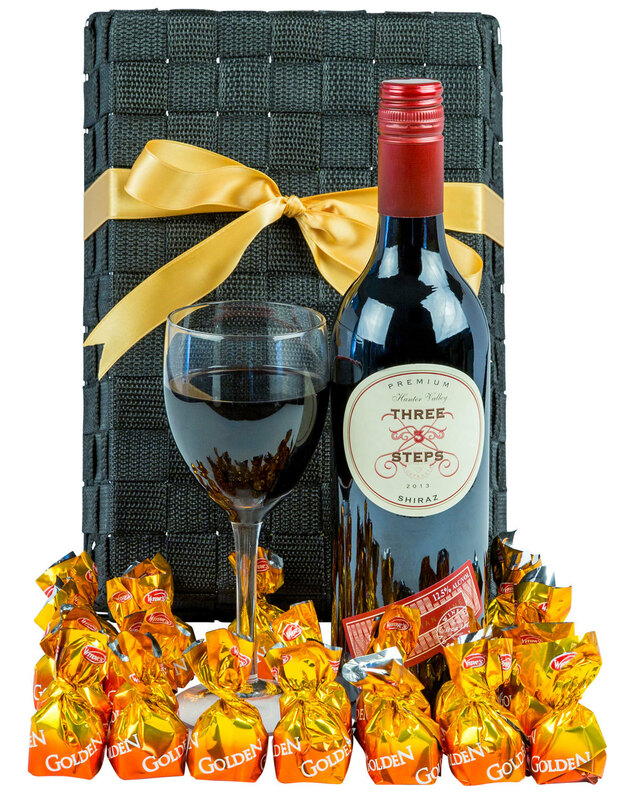 This hamper includes a protective wine carrier case with two glass flutes to get the holidays started. 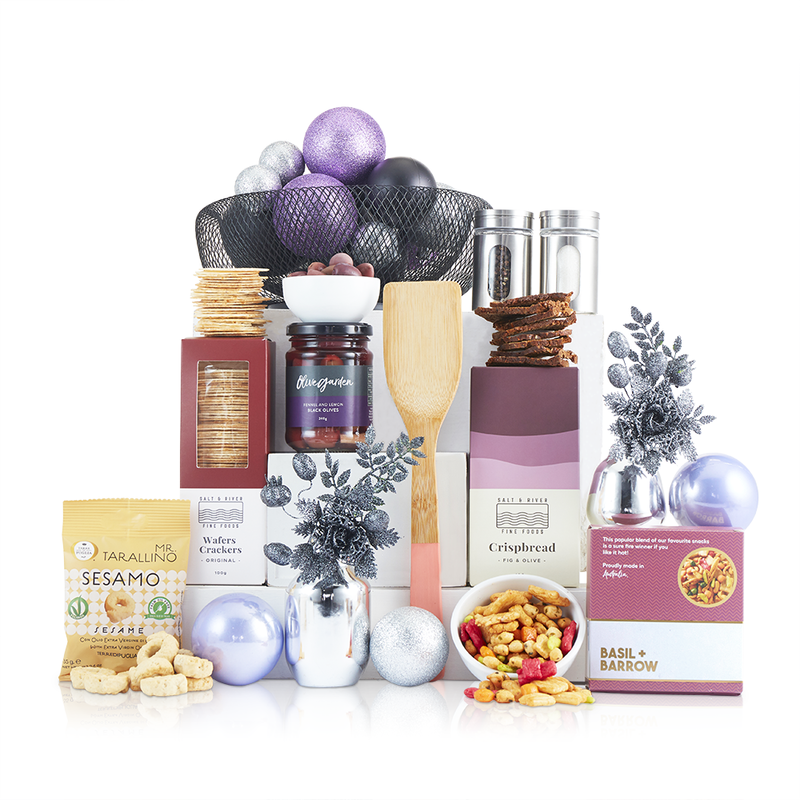 Give your clients or family the Mediterranean experience this Christmas time by sending this gourmet gift hamper that includes an array of snacks and treats that will be sure to impress! A great gift to celebrate Christmas with! 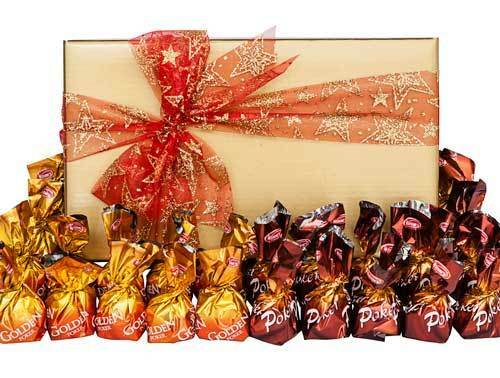 With a selection of gourmet chocolate treats that is sure to satisfy any sweet tooth this holiday season. 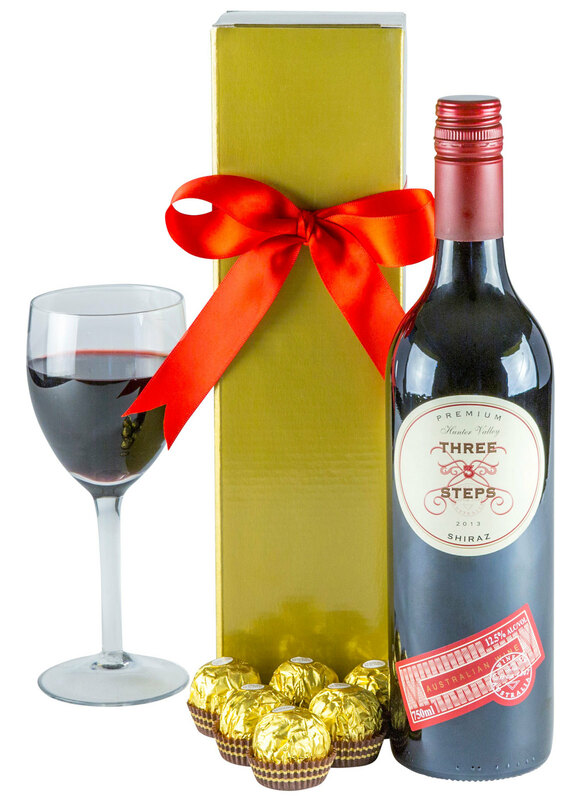 Presented in a glossy box with a decorative ribbon this is the perfect gift for anyone! Stuck on what to give this Christmas season? 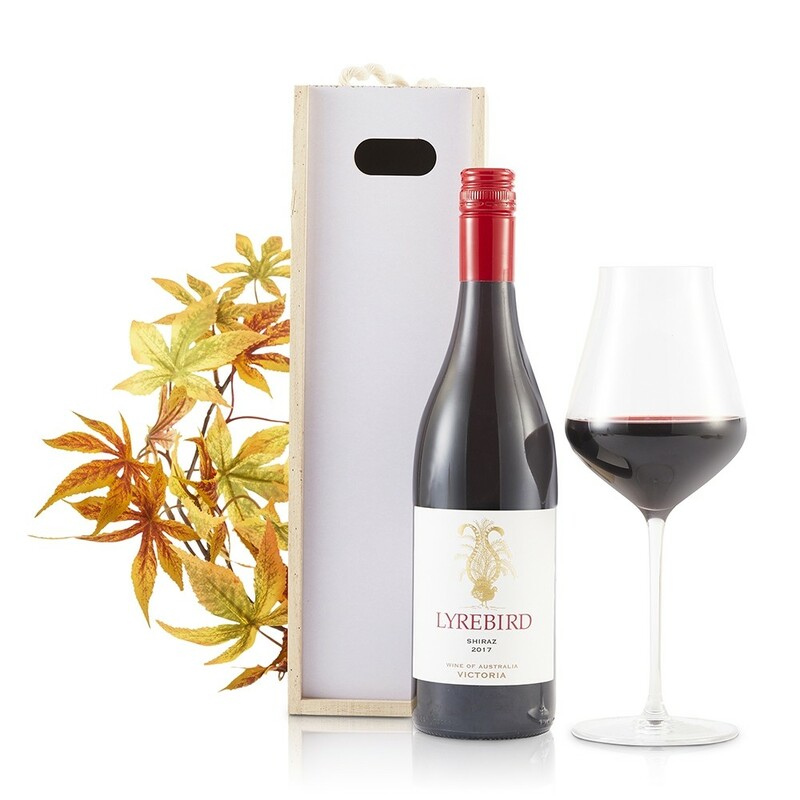 Look no further, you can’t go wrong with this hamper that includes a beautiful bottle of red! This stylish Christmas gift is sure to spoil long after the holiday season is over. 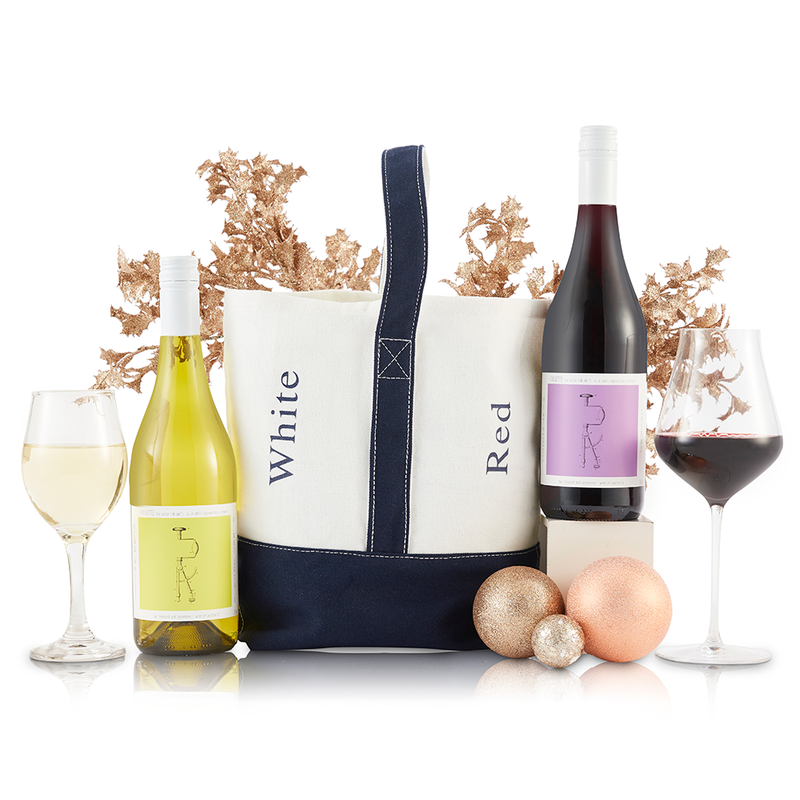 The perfect hamper for wine lovers. Cool down this Christmas with the perfect summertime gift, this reusable insulated cooler tote bag is the gift that keeps on giving. With delicious gourmet nibbles to enjoy with friends. Presented in a robust blue insulated cooler bag. 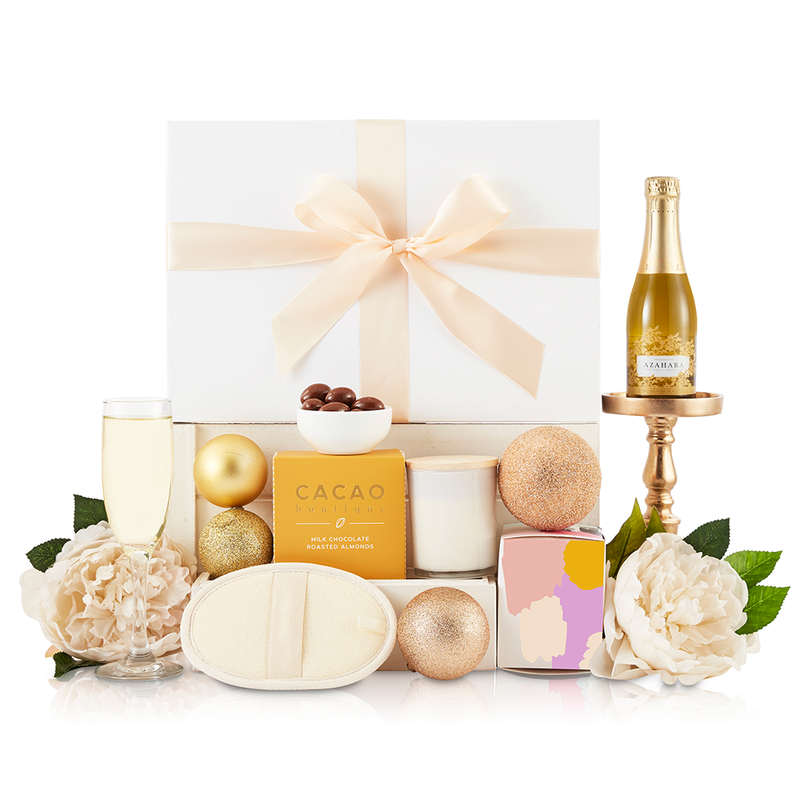 It’s all about the finer things in life with this luxurious gift hamper. 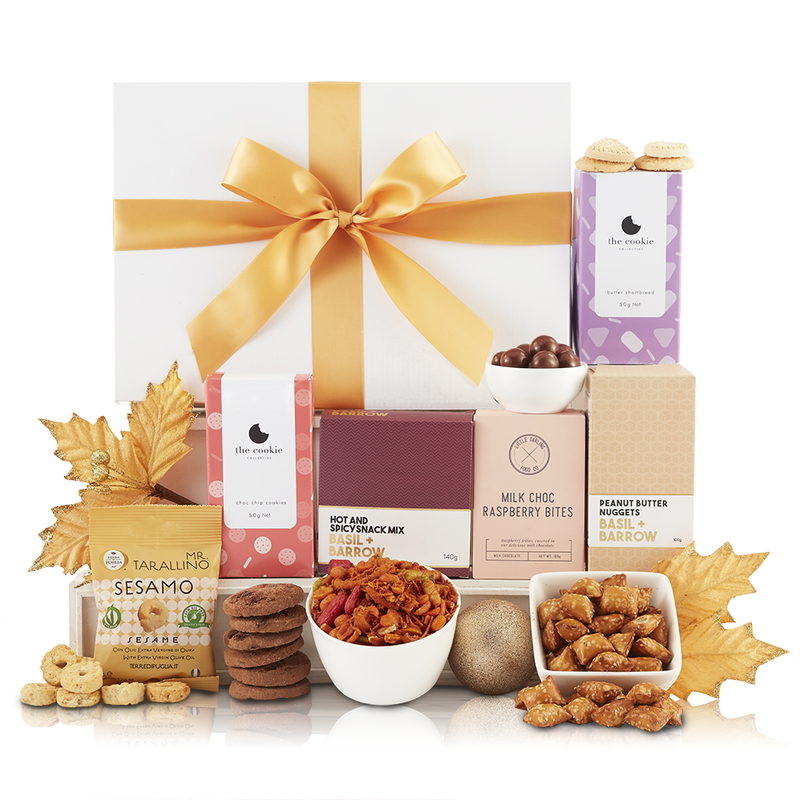 It’s the perfect gift hamper to send at Christmas to show your appreciation for staff and family. There you go beautiful gift ideas! 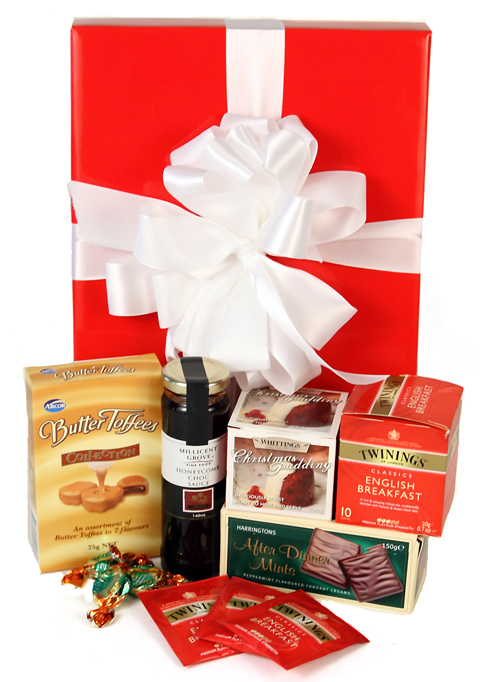 Christmas Hampers all under $50.00! There’s definitely something you can pick up for your boss, your best friend, your MIL, your favourite work colleague or for a family friend! 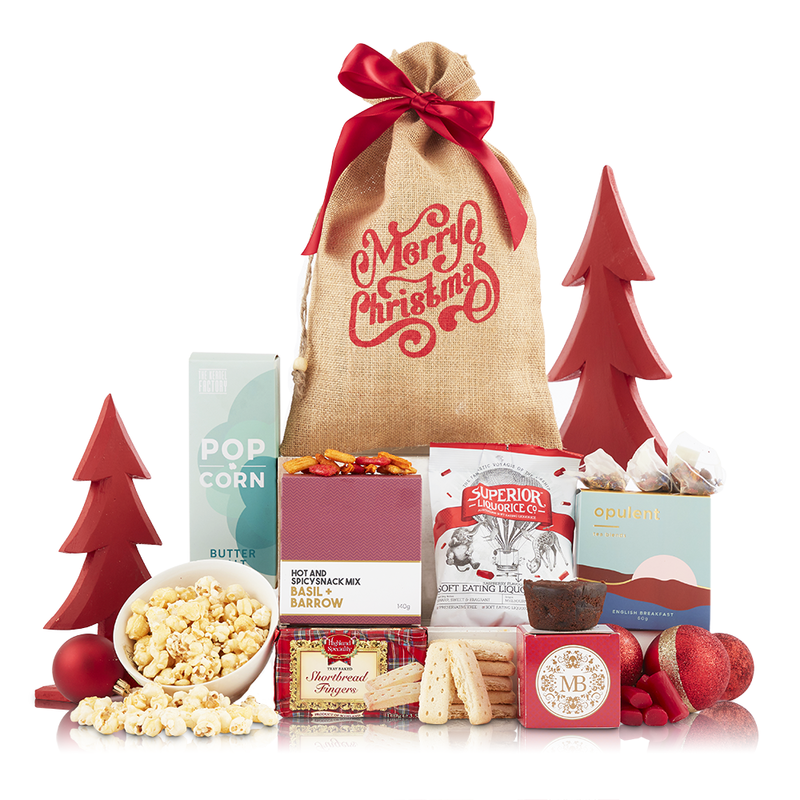 Which one of these gorgeous Christmas Hampers are you going to get?